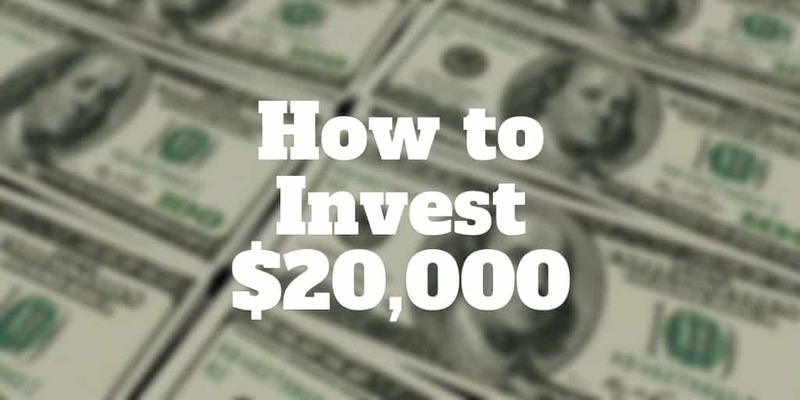 Whether you squirreled away money, won the lottery, or received a bonus at work the question now is how to invest $20k? The good news is you are spoilt for choice because of the many ways to invest $20,000. From stocks and bonds to real estate crowdfunding sites and peer-to-peer lending platforms, the options are almost endless. Here, we break down the best ways to invest wisely. Want To Invest $20k In Real Estate? Tempting as it might be to bet your $20,000 on penny stocks, a smarter choice is to follow in the footsteps of Warren Buffett, who amassed billions by investing wisely. His secret sauce boiled down to buying dividend stocks at good prices. Companies like Amazon and Google wouldn’t make the cut in his portfolio because they don’t pay dividends. Instead he prefers stalworth companies that have stood the test of time and pay out generous dividends. Kraft Heinz, Coca Cola, and Wells Fargo are among his favorite long-term holdings. Although the investing strategy may seem boring, Professor Jeremy Siegel’s research in his book Stocks For the Long Run revealed that the total stock market returns through most of last century were overwhelmingly due to reinvested dividends. As alluring as high flying stocks, like Netflix, can be at times, the reality is they can crash just as quickly, leaving traders with nothing but heartache and losses. To get started buying dividend-paying stocks, open a trading account at a top online broker like tastyworks or thinkorswim, where commissions are low, support staff are excellent, executions are fast, and the trading platforms are robust. If the idea of stock picking and managing your own portfolio scares you or doesn’t whet your appetite, mutual funds may be a better fit. And if you prefer a hands-off investing approach then a robo-advisor could be a perfect match for you. Robo-advisors are a new breed of financial advisor. They leverage technology and computer algorithms to automatically invest your money based on your age, risk preferences, financial goals, and other factors. Betterment leads the pack of robo-advisors. All the bells and whistles you might hope for are packed into the Betterment website. Investors who want a purely automated solution can choose Betterment Digital, which costs 0.25% in annual fees. That means if you invest $20,000 you will pay just $50 per year for a top roboadvisor who will invest your money in mutual funds or index funds. Or if you want access to a team of Chartered Financial Professionals via Betterment Premium, the fee is 0.40%, which would amount to $80 for the year. Betterment pays special attention to the tax impact of investing in order to make sure you get the most bang for your buck. Through various strategies like tax-loss harvesting and tax-coordinated portfolios, Betterment claims annual returns can increase by as much as 2.66%. Another roboadvisor worth checking out is Ellevest, which is unique in the way it segments men vs women. Women tend to reach their peak earning age younger than men. And because women tend to live longer than men, they need to be savvy about how to invest money over a longer time span as their income declines. Ellevest understands these very real differences between men and women, and invests clients’ monies accordingly. Real estate has been a solid investment over any long term period during the last century. But how do you invest $20k in real estate without buying property yourself? Fortunately, real estate crowdfunding sites have sprung up to help investors pool money to buy properties that would otherwise be unaffordable to any single investor. No longer do you need to do the hard work of applying for a bank loan, finding a tenant, and maintaining a property. Instead, companies like Fundrise and Rich Uncles do the heavy lifting. With as little as $500 → $1,000 you get exposure to real estate from the comfort of your living room. Rich Uncles specializes in commercial real estate and student housing. Brand name tenants like Chevron and Dollar General rent out Rich Uncles commercial properties while occupancy rates in student housing are predictably high from one year to the next. Fundrise features private real estate investment trusts that operate much like publicly traded REITs, albeit with a dashboard that allows you to track your investments 24/7. It also offers an eFund, which buys and develops land that is sold to residential homeowners. If you prefer to invest $20k in property that you own yourself, Roofstock is your best bet. Roofstock rates neighborhoods, finds homes to buy that are already rented, connects you to local property managers, and even lets you buy properties online with a few mouse clicks! Gone are the days when you needed to trek around neighborhoods for property deals! Peer-to-peer lending is a way to invest $20,000 without relying on the stock market or real estate to generate returns. The way it works on leading peer-to-peer lending platform, Prosper, is you loan money to a borrower for a fixed period of time at a specific interest rate. Prosper vets borrowers and assigns them to risk categories so you know ahead of time how risky similar borrowers are when it comes to paying back their principal and interest. You can choose to loan money to a dentist who may be consolidating credit card debt to a lower rate or to a doctor who may be refurbishing a home for example. If you were to loan out $20,000 to a few dozen borrowers you could spread your risk and maybe earn a handsome yield that would beat bank savings rates. What other ways to invest $20k do you know that we should include in this article? We would love to hear from you. >> How Much Should You Save For Retirement? >> Saving Vs Investing Money: How Do You Decide?